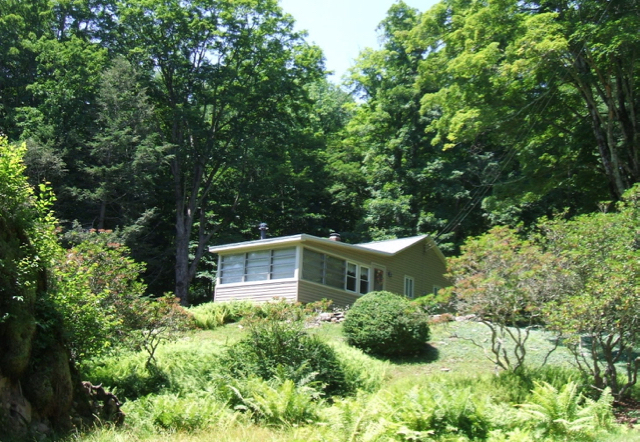 Maple Glen (Sold): Peaceful Catskills cabin on 2.3 acres. 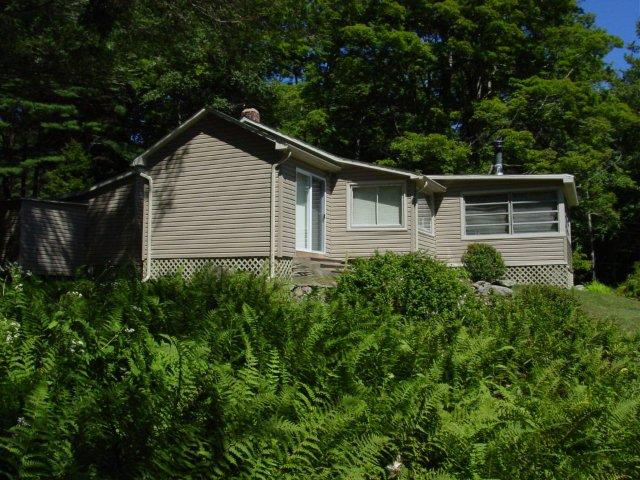 Grahamsville, NY $89,000 — Country House Realty: Fine Catskills and Upstate New York real estate, including Sullivan Co. and Ulster Co. This is an ideal seasonal getaway cabin with privacy, peace and quiet. Mature landscaping combined with mixed woods and views over Pepacton Hollow Creek make this a great property for country escapes. The cabin and property have been meticulously maintained and renovated and listed for the first time in many decades. Enter from the rear of the house into an entrance hall where you can shuck your boots and coats. From there, step right into a convenient galley-style kitchen which still has the original metal cabinetry and sink — all beautifully restored. 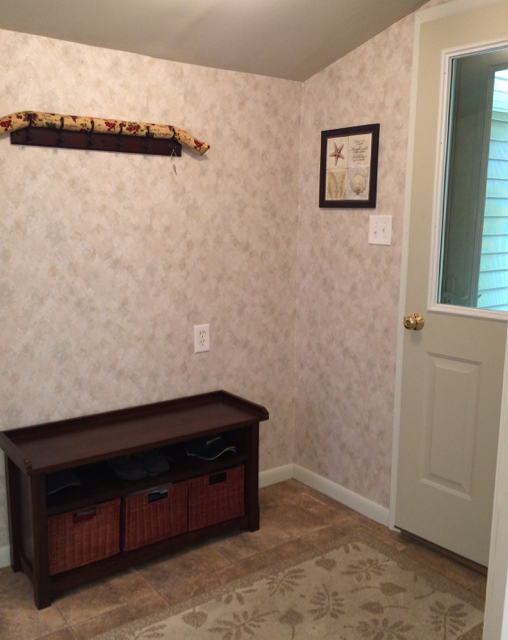 A generous bathroom leads off the entrance hall, complete with new hot water heater. Walk through the kitchen into the bright, sunny living room with views across the neighboring pond. Two bedrooms lead off the living room as well as a dining room with sliding glass doors leading to the outdoors. The large enclosed porch with a wood stove and gorgeous views on all 3 sides is a most appealing feature of this house and would make a great sleeping porch for the summer and a cozy space to relax in the cooler months. New siding, replacement windows, some hardwood floors under carpet, an attached single garage with workspace and storage shed in rear makes this property 'move in' ready. Most of the furniture and appliances will be sold with the house. The water source is a spring on the top corner of the parcel with gravity feed to the house ensures a continuous supply of pristine Catskill water – and the plumbing has been set up for easy winter shut down. A septic completes the water systems.